That’s almost as long as it took to make Halo 5. Finding all the necessary LEGO elements takes time. 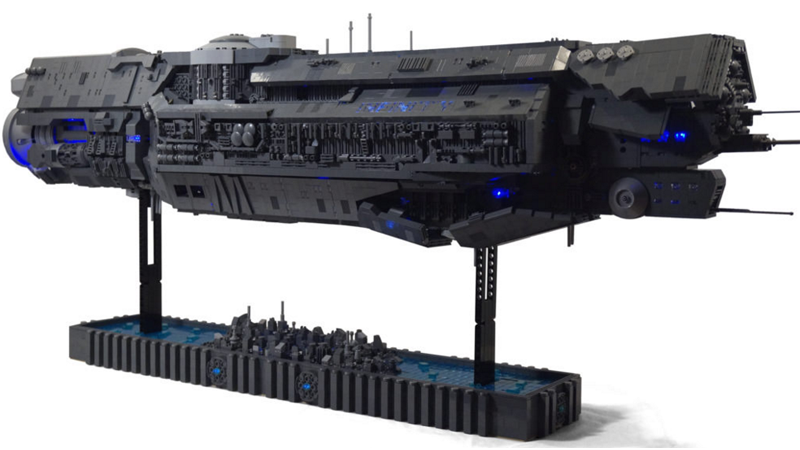 The blue lights and the sophisticated design makes Cody Fowler’s (via Brothers Brick) U.N.S.C. Infinity look awesome. And that micro city on the ground is just as brilliant as the ship itself.